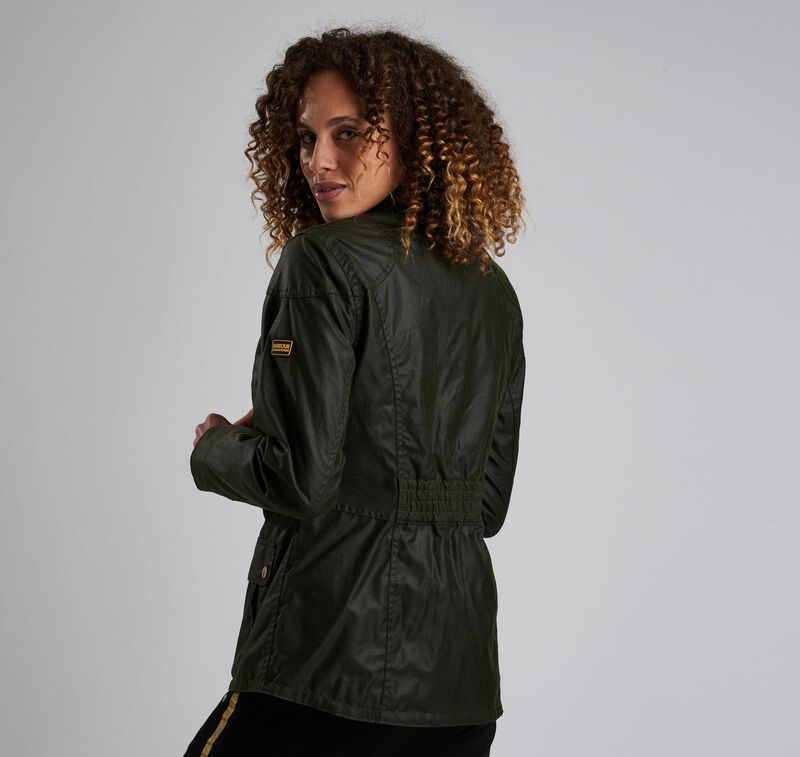 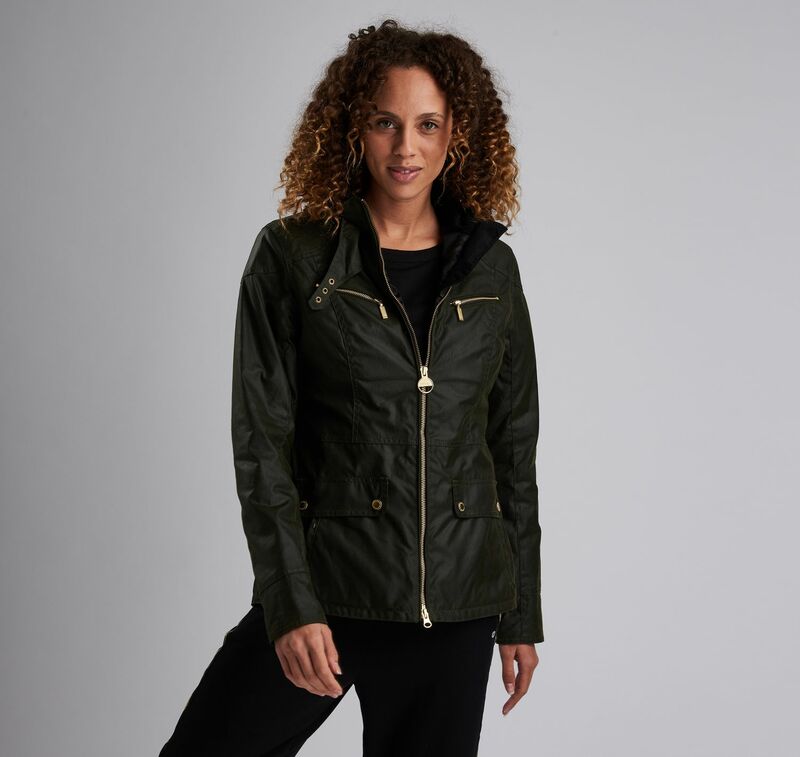 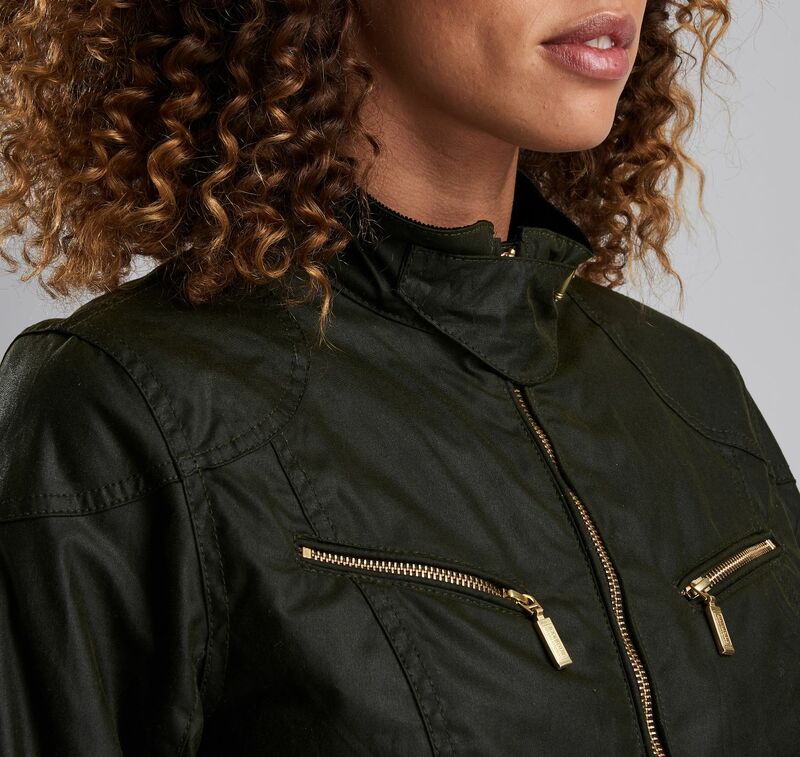 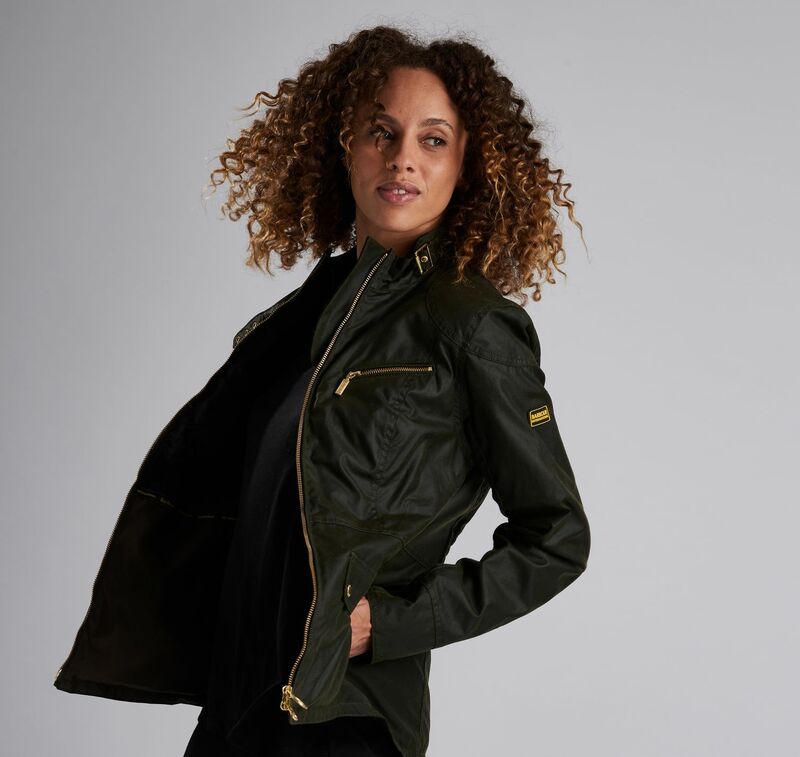 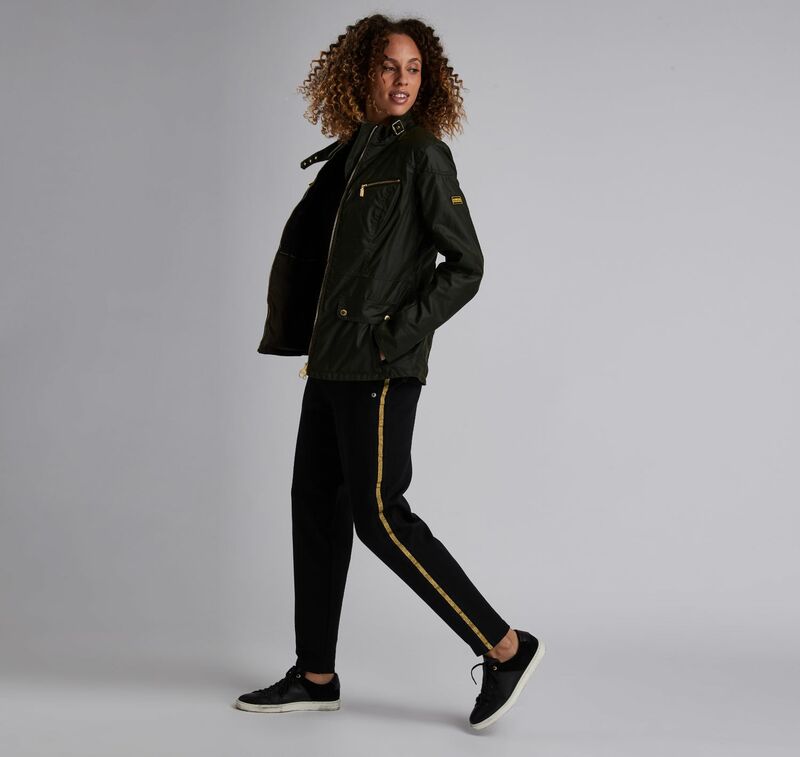 The Barbour International Ivy waxed cotton jacket is cut for a slim, figure hugging fit which is accented by contrast gold hardware, a funnel collar and multiple pockets throughout. 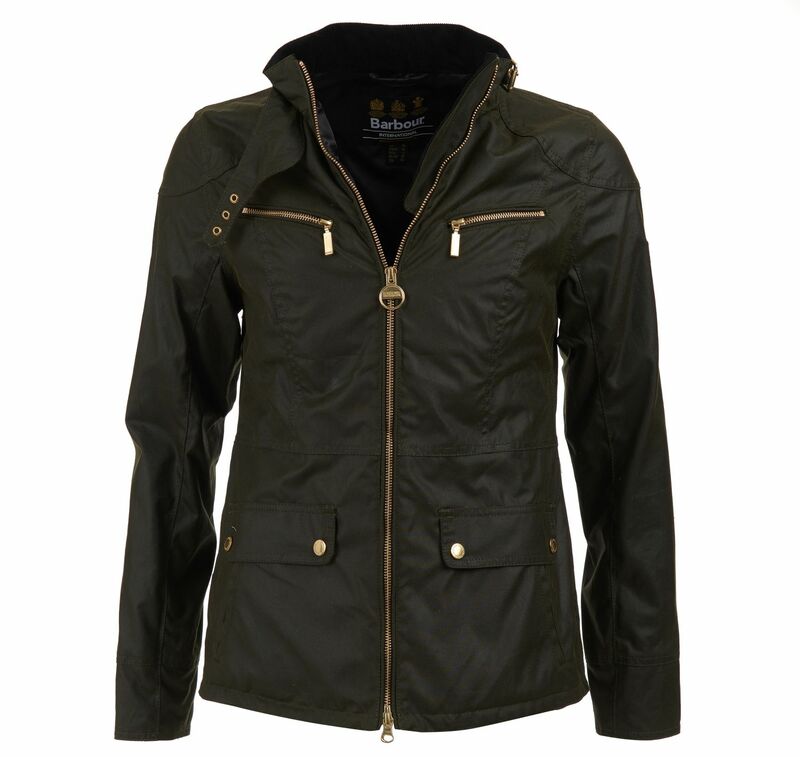 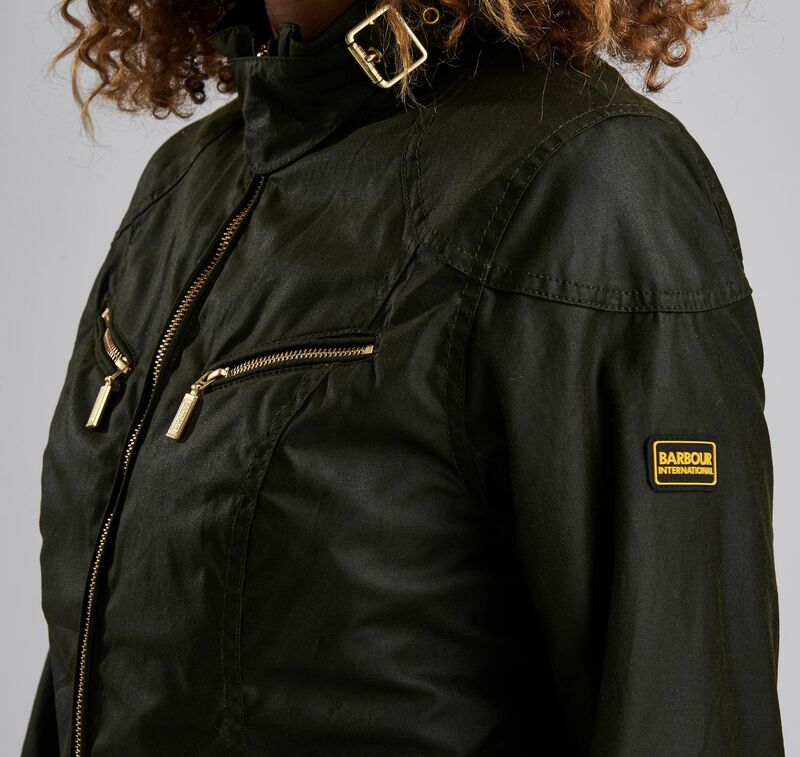 Complete with a dipped hem at the back and Barbour International branding on the sleeve. 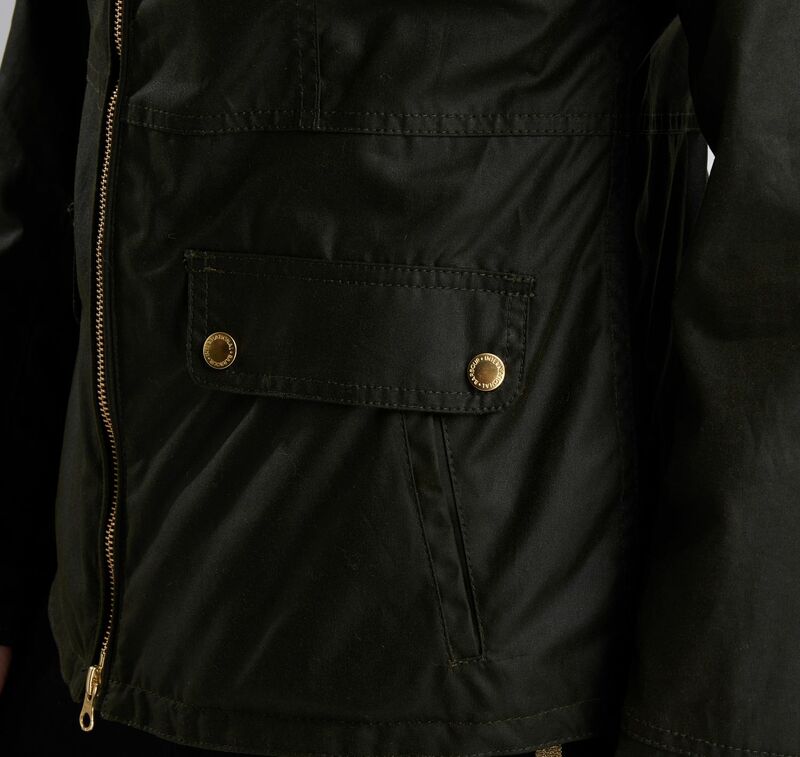 Wear yours with your favourite sweater and jeans on your daily commute.